Today is the 20th anniversary of Shikshayatan School, now home to Room 13 Shikshayatan. Aruna and Raghavan, who founded the school in 1994, held the first classes around their kitchen table. They are to be congratulated for their energy and vision; not only building the school facilities brick by brick, but allowing the children access to an education of the highest standard. In 1992 Raghavan and Aruna left Bombay with their small daughter and invested their entire life savings to establish a primary school at Arasavanangkadu, a village of 1500 people in a remote corner of Tamil Nadu. They established The Anugriha Charitable Trust with the intention of evolving and demonstrating alternative educational methods in India. Shikshayatan School opened on 15th August 1994 admitting 15 3-year-old children to the first class. All of the children were drawn from low income, scheduled caste families in which they are the first generation to receive any education. Within this community, the Raghavans have spent the last two decades exploring and experimenting with new methods of early childhood education. They have grown and developed the school year by year, striving to keep pace with the requirements of their students, resolute in their aim of providing free education to the under-privileged. Expanding its capacity gradually from pre-school to primary and then to middle school, Shikshaytan now gives an education, uniforms, textbooks and snacks to 225 students, on a four-acre, green campus, without charging a single rupee. 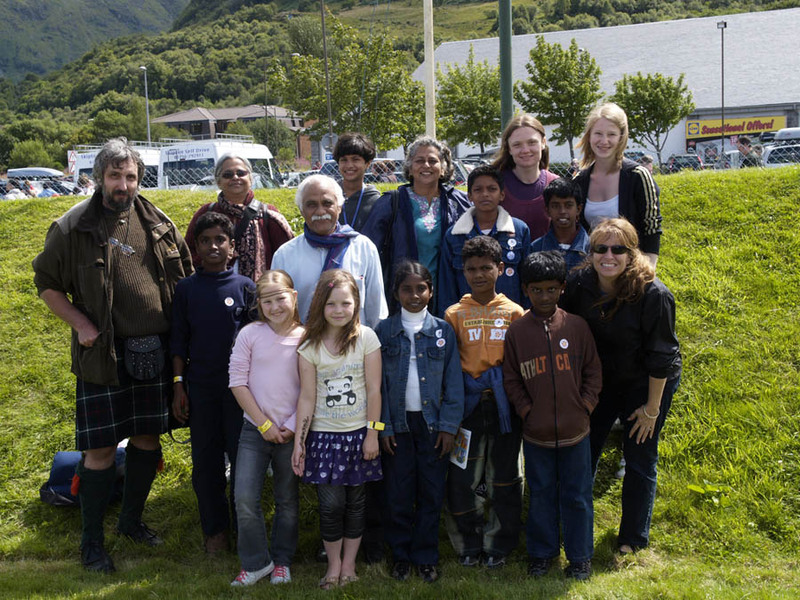 In 2004 the Raghavans met with Room 13 and were inspired by a presentation given by two youngsters from Scotland. Confident by this point in their ability to instil the skills of literacy and numeracy in their pupils, they felt intrigued by an approach to arts education that appeared to sit so comfortably with their own methods. Room 13 Shikshayatan was introduced to the school in 2005, and has since been host to a number of visiting artists.